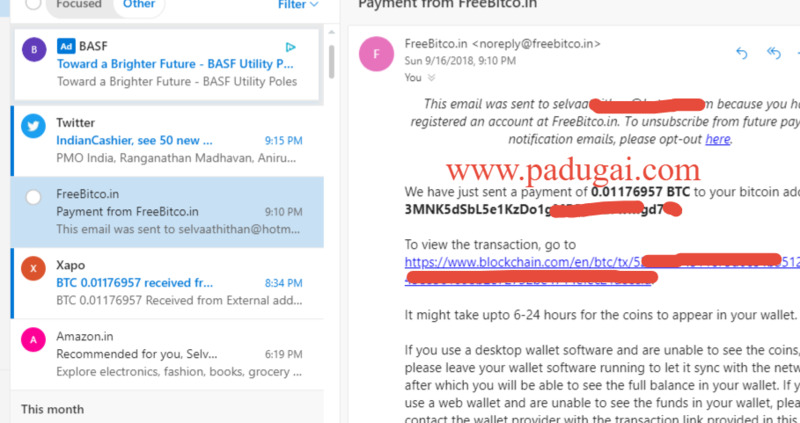 Today am received Rs.5600 from Free Bitcoin collection job site. It's mine one week highest payment from Free Bitcoin site. So, it proved... you will earn more than Rs.20000 from free bitcoin if do you do smart work on free online bitcoin collection.